Focused Sales Associates is a manufacturer’s “rep” firm specializing in Division 7 products in the New England States (Connecticut, Massachusetts, New Hampshire, Rhode Island, Vermont and Maine). We work with architects, consultants, and owners to assure the manufacturer the proper position in the specification process. We balance that with a strong presence at the distributor and contractor level. We understand the value of experience and business relationships. We are “features & benefits” proponent and believe that price, while important, does not ultimately determine the sales success of a building materials manufacturer. Environmentally sound, energy efficient polyiso wall insulation for applications ranging from residential homes to commercial, industrial and agricultural structures. Our polyiso insulation is available coast-to-coast, meeting roof applications in commercial, residential, and industrial construction, with an emphasis on installation efficiency. State-of-the-art commercial and residential Starlight Skylights; SofTILE terrace and green roof pavers; and more. 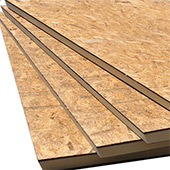 Rmax ECOBASEci is an energy-efficient thermal insulation board composed of a polyiso foam insulation with polymer-coated glass fiber mat facers bonded fire-retardant treated plywood. IPS Ventilation is the most innovative and efficient ventilation line in the industry. 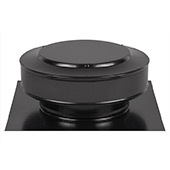 With a full line of intake, ridge, and off-ridge ventilation products, IPS Ventilation has a solution available for any attic ventilation situation. 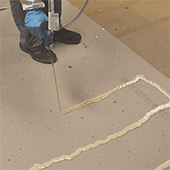 Polyset Board-Max is a low-rise, two-component polyurethane foam adhesive specifically engineered to secure insulation and cover boards to various roof decks, cover boards and substrates. 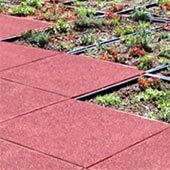 The SofTILE Terrace and Green Roof Paver adds a new dimension to the rooftop by creating viable recreation space with colors that can be mixed and matched.